(Washington, DC – VA) - Today, Secretary of Veterans Affairs Eric K. Shinseki announced that the department’s Gulf War Veterans’ Illnesses Task Force has nearly completed a comprehensive report that will redefine how VA addresses the pain and suffering of ill Veterans who deployed during the Gulf War in 1990 and 1991. The mission of VA’s Gulf War Task Force is to identify gaps in services as well as opportunities to better serve Veterans of the Gulf War. Of the almost 700,000 service members who deployed to Operation Desert Shield in 1990 and Operation Desert Storm in 1991, there have been 300,000 Gulf War Veterans with claims decisions, over 85 percent were granted service connection for at least one condition, and over 14 percent were not granted service connection for any condition. Improve data sharing with Department of Defense to notify Veterans of potential exposures, monitor their long-term health and inform them about decisions regarding additional follow up. a. Reviewing, and if necessary, updating regulations affecting Gulf War Veterans. b. Expanding training for VBA examiners on how to administer disability claims with multiple known toxin exposure incidents. Improve VA healthcare for Veterans through a new model of interdisciplinary health education and training. Increase number of long term, Veteran-focused studies of Veterans to enhance the quality of care VA provides. Transition from reactive to proactive medical surveillance to help better manage Veterans’ potential hazardous exposures. Find new treatments for Gulf War Veterans through new research. Enhance outreach to provide information and guidance to Veterans about benefits and services available to them for injuries/illnesses associated with Gulf War service. The Gulf War Veterans Illness Task Force (GWVI-TF) is a leading edge of the Secretary’s vision of transforming the VA into a 21st century organization. The Task Force represents a bold step forward in how VA considers and addresses the challenges facing not just Veterans of a specific era, but the challenges facing all Veterans. Improving the responsiveness of the VA to the challenges facing the 1990-1991 Gulf War Veterans is a priority that requires innovation and the engagement of all stakeholders, including VA employees, DoD, Congress and Veterans’ Service Organizations (VSOs). This brief summarizes the efforts of the Task Force and the recommendations made in the draft report which was written by an interdisciplinary team of subject matter experts from across multiple work centers within VA. The intended outcome is to take the VA one step closer to the goal of improving services for Gulf War Veterans across the spectrum of care and benefits. The Task Force was formed in August 2009 to provide a unified and cohesive organizational instrument to address the concerns and needs of Gulf War Veterans, especially those who suffer from unexplained chronic multisystem, or undiagnosed illnesses. From the outset, the VA recognized that this was a complex issue with many people deeply invested in its resolution. We recognized the frustrations that many Veterans and their families experience on a daily basis as they look for answers, and seek benefits. The Task Force was charged with conducting a comprehensive review of all VA programs and services that serve the Gulf War cohort of Veterans. The Task Force was further charged to identify gaps in services as well as opportunities to better serve this Veteran cohort, and then develop results-oriented recommendations to decisively advance VA’s efforts to address their needs. The Task Force considered a successful mission outcome as a coherent, comprehensive and facts-based action plan, which considers and integrates appropriate viewpoints from stakeholders and subject matter experts. The Task Force focused its efforts on Veterans who were deployed to the Operation Desert Shield or Operation Desert Storm components of the 1990-1991 Gulf War period. However, as part of the Task Force charge to develop innovative and forward-looking solutions, it identified lessons learned from past practices and policy that can be applied to today’s programs and services supporting the Operation Enduring Freedom/Operation Iraqi Freedom cohort. 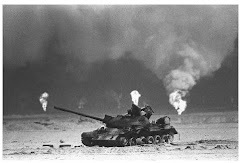 The Gulf War is legally defined as beginning on August 2, 1990, and extending through a date to be prescribed by Presidential proclamation or law. The term "Gulf War Veterans" could refer to all Veterans of conflicts in Southwest Asia during this period, including Veterans of Operation Iraqi Freedom, and subsequent conflicts in this theater. These possibilities informed the recommendations with the view that this report would serve as a foundation for treating the unique wounds of war of the present conflicts. In order to accomplish these goals, the Task Force was designed as a matrix organization within VA that meets regularly to investigate allegations and perceptions, analyze facts and data, coordinate and review findings and proposals, and collaboratively develop recommendations. The Task Force includes staff from the Office of the Secretary (OSVA), Veterans Heath Administration (VHA), Veterans Benefits Administration (VBA), Office of Public and Intergovernmental Affairs (OPIA), Office of Policy and Planning (OPP), and the Office of Congressional and Legislative Affairs (OCLA). The staff from these offices represented a broad spectrum of subject matter expertise and stakeholder perspectives necessary to ensure success. Members were charged with defining the key areas of review, consulting key experts and relevant stakeholders, and capturing the issues, data, programmatic and performance information necessary to inform their recommendations. The draft report’s action plans form an initial roadmap to transform the care and services we deliver to the Gulf War cohort. Execution of these plans will deliver the critical tools for frontline staff to address issues raised by VA and Gulf War Veterans, Veteran Service Organizations, Congressional committees, and other external stakeholders. Due to significant limitations in the VA’s Gulf War Veterans Information System (GWVIS) and the reports generated from the various data sources used by GWVIS, it is extremely difficult to accurately portray the experiences of the 1990-1991 Gulf War cohort and their respective disability claims or health care issues. That said, this shortfall did not prevent the GWVI-TF from identifying gaps in services as well as opportunities to better serve this Veteran cohort. Outreach: Enhance outreach to reconnect VA care, services, information and databases. These action plans are not meant to be the definitive panacea for caring for Gulf War Veterans. While a starting point, this Veteran-centric care will require continued efforts and vigilance on the part of all stakeholders. Implementing the recommendations in this report will provide VA staff with the means to continue to advocate and care for all Gulf War Veterans. The Task Force organized the report around seven themes that drive action plans for the way ahead. The seven theme subjects are summarized below and are: partnerships, benefits, clinician education and training, ongoing scientific reviews and population based surveillance, enhanced medical surveillance of potential hazardous exposure, research and development, and veteran outreach. Partnerships: Veteran care is profoundly influenced by how well DoD and VA share information and resources in the areas of deployment health surveillance, assessment, follow-up care, health risk communication, and research and development. VA is dependent on DoD to identify environmental hazards and service members who were possibly exposed to those hazards. VA and DoD already collaborate through the Deployment Health Working Group (DHWG). The draft report proposes to leverage the DHWG as the principal mechanism for VA to receive data on environmental exposures of Service members, but this proposal has not been coordinated yet with the DHWG. Additionally, the report proposes using the DHWG to provide regular progress reports on data sharing efforts to the VA/DoD Health Executive Council. Benefits: The Task Force received input from Veterans and Veterans' stakeholders concerning the benefits and services targeted to Gulf War Veterans. Specifically, there was concern that some Veterans were continuing to suffer from symptom clusters that could not be attributed to known diseases or disabilities through conventional medical diagnostic testing and that these Veterans were "falling through the cracks" within the current disability compensation scheme. As a result, the Task Force reviewed the current legislative and regulatory provisions unique to the Gulf War cohort of Veterans. Rule-making is underway to add additional diseases to the list of those subject to the presumption of service connection based on qualifying Gulf War service. Based on evidence provided by the National Academy of Sciences on chronic diseases associated with service in Southwest Asia, additional rules to ensure that Veterans can efficiently access the benefits they’ve earned may also be forthcoming. To further assist Gulf War Veterans, VBA Compensation and Pension (C&P) Service has developed two training letters designed to inform and instruct regional office personnel on development and adjudication of disability claims based on Southwest Asia service. Training Letter 10-01, titled Adjudicating Claims Based on Service in the Gulf War and Southwest Asia, was released on February 4, 2010. This training letter provides background information on the Gulf War of 1990-1991, and explains the initial 1994 and subsequent 2001 legislation found in Title 38 United States Code, Section 1117, which was a response to the ill-defined disability patterns experienced by returning Gulf War Veterans. It explains the terms “undiagnosed illness” and “medically unexplained chronic multisymptom illness” used in the legislation, and stresses that service connection may be granted for other diagnosed chronic, multisymptom illness in addition to chronic fatigue syndrome, fibromyalgia, and irritable bowel syndrome, which are identified as examples in the legislation. It also provides step-by-step procedures for procuring supporting evidence and for rating a disability claim based on Southwest Asia service under Section 3.317 of the Code of Federal Regulations. The training letter includes a separate memorandum to be sent with the VA medical examination request so that examiners are informed of the issues related to qualifying chronic disabilities and better able to evaluate a Gulf War Veteran’s disability pattern. Additional assistance will be provided in Training Letter 10-02, titled Environmental Hazards in Iraq, Afghanistan, and Other Military Installations, which is currently in development and will be coordinated with DoD. This training letter provides regional office personnel with information on environmental hazards associated with Gulf War and Southwest Asia service. 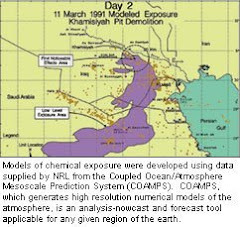 It discusses airborne toxic substances resulting from the widespread use of burn pit fires to incinerate a variety of waste materials in Iraq and Afghanistan, as well as hexavalent chromium contamination at the Qarmat Ali water treatment plant in Basrah, Iraq, from April through September 2003. In addition to Southwest Asia environmental hazards, the training letter will provide details of the contaminated drinking water situation at Camp Lejeune, North Carolina, from the 1950s to the 1980s . The purpose of this information is to alert regional office personnel to the potential for disability claims based on exposure to any of these environmental hazards. The training letter outlines development and rating procedures for such claims and provides “fact sheets” for VA medical examiners that explain each hazard. We will coordinate with DoD to assure that these fact sheets accurately describe the environmental hazards. Clinician Education and Training: VHA has historically used a series of clinician training programs, titled Veterans Health Initiative (VHI), to prepare clinician staff to treat Veterans. However, the current programs are unwieldy, information is out-of-date, the format is not user-friendly, and process for updating these training programs lacks agility. In order to address this training deficit, an interdisciplinary team of VA subject matter experts met on December 8 and 9, 2009, to rewrite and reorganize the Gulf War Veterans’ Illnesses training program. This was the first time that such a wide array of policy makers, subject matter experts, and clinicians in the field were brought together to review every facet of a training program. A conference call on December 28, 2009, was held to continue editing the content. A two-day offsite meeting on February 1 and 2, 2010, finalized the content. The training program will be reviewed by the peer review board and undergo the process to ensure it is Section 508 compliant. And while primary care providers currently do an excellent job of providing patients with work-ups based on symptoms, they do not always have the necessary tools to provide thorough exposure assessments. An initial seminar was developed in August 2009 in conjunction with Mount Sinai Medical Center and the New Jersey War Related Illness and Injury Study Center (WRIISC) to overcome this deficiency. Lessons learned from prior conflicts, including the 1990-1991 Gulf War, were coupled with the lessons learned at the August 2009 seminar to build more comprehensive training for VA staff. VHA will conduct exportable workshops in exposure evaluation and assessment to update VA clinicians on the unique exposure concerns of returning OEF/OIF Veterans and provide educational and clinical tools for evaluation of exposure risk and the health outcomes relevant to these risks. In addition, in FY 2010, this workshop seminar will be offered as a satellite broadcast available to all VA providers. We will coordinate with DoD on the development of these educational materials. Ongoing Scientific Reviews: VA recognizes the need to leverage additional resources available to support systematic data collection and review efforts that provide Gulf War Veterans with the highest standard of care. The VA will continue to support the long-term Institute of Medicine (IOM) scientific reviews of health outcomes related to Veterans’ service in Gulf War combat theaters. VA will seek to improve collaboration with the Centers for Disease Control and Prevention (CDC) to incorporate Veteran-specific data collection and analyses into three major longitudinal health-related national surveys: National Health and Nutrition Examination Survey (NHANES); National Health Interview Survey (NHIS); and National Immunization Survey (NIS). VA has reached out to DoD to discuss such data collection. We will improve collaboration between DoD and the VA to ensure Veteran-specific data collection and analyses are included in the Millennium Cohort Study (MCS). To prepare for and address future needs, in June 2009 the VA announced the National Health Study for a New Generation of U.S. Veterans to study the health status of 60,000 Veterans who have separated from active duty, Guard, or Reserves, half of whom served in either Iraq or Afghanistan and half who did not. Women Veterans are being oversampled to permit appropriate comparisons. Medical Surveillance: DoD has discussed with VA events or situations when Service members may have been exposed to hazardous substances during the current conflicts in Iraq and Afghanistan. These possible exposure events include exposure to hexavalent chromium, burn pit smoke, and other contaminants. A program is being developed for those Veterans who may have been exposed to sodium dichromate while performing duties at Qarmat Ali, Iraq. This model will be used to develop medical surveillance programs for the other exposure events for which medical surveillance is appropriate. We will coordinate with DoD on the development of these medical surveillance programs. Among Gulf War Veterans, there are known instances where service members were hit by coalition fire and are believed to still have depleted uranium (DU) fragments present in their bodies. The need to monitor the effects of long-term DU exposure still exists. The Depleted Uranium follow-up program was started in 1993 at the Baltimore VA Medical Center (VAMC). This program periodically re-evaluates service members who have known embedded DU fragments. In 2008 the Toxic Embedded Fragment Study Center was established to clinically evaluate all service members with any type of embedded fragment. These programs have been supported by the Division of Biophysical Toxicology at the Armed Forces Institute of Pathology (AFIP). The Joint Pathology Center (JPC), authorized in NDAA 2008, will serve as the new Pathology Reference Center for the federal government providing pathology consultation, education, research, and oversight of the vast Tissue Repository housed at AFIP, which will close in 2011. VA will continue to require the support of the JPC to maintain these vital programs for Veterans with Toxic Embedded Fragments of all kinds. Research and Development: There has been significant Federal support for research on Gulf War Veterans’ Illnesses that has answered many epidemiological questions and studied a number of potential biological indicators of illness in Gulf War Veterans. Effective treatments and objective diagnostic tests, however, have not yet been fully adopted by the medical community. This is particularly frustrating to Veterans and their families. VA is committed to conducting a multi-pronged approach that balances the urgency of understanding and finding new diagnostic tests and treatments for ill Veterans of the 1990-1991 Gulf War with the need to do new studies on a national cohort of Gulf War Veterans. Clinical trials are currently underway to examine new therapies for sleep disturbances and gastrointestinal problems and to test the feasibility of performing cognitive behavioral therapy via telephone. Another major focus of VA’s current research portfolio is to identify biomarkers, or biological indicators, that can distinguish ill Gulf War Veterans from their healthier counterparts. The VA Office of Research and Development (ORD) issued three new Requests for Applications (RFA) on November 10, 2009, which incorporated more than 80 percent of the research recommendations the Research Advisory Committee on Gulf War Veterans’ Illnesses made in their 2008 report. These RFAs will be re-issued twice a year to regularly request submission of new proposals and revisions of previously reviewed, but not funded, applications. In addition, ORD’s long-term plans include the design of a new study of a National cohort of Gulf War Veterans under the auspices of the VA Cooperative Studies Program, which has extensive experience in developing multi-site VA clinical trials and clinical studies. The design of this new study will include a Genome Wide Association Study (GWAS) and other elements, based on evaluation of the existing body of scientific/clinical knowledge about the illnesses affecting Gulf War Veterans. The VA commitment to providing the highest standard of care led to a decision to not exercise the two option years of the contract with the University of Texas Southwestern Medical Center (UTSW). The decision was based on persistent noncompliance with contract terms and conditions, and numerous performance deficiencies documented by the Office of the Inspector General. Consequently, unobligated funds from the third UTSW contract period will be redirected to other VA-funded Gulf War research projects that are in the same direction as the UTSW research. This includes the VA Medical and Prosthetics Research program which has committed $20 million annually for Gulf War Illnesses research. Outreach: There is a general lack of engagement on, and knowledge of, the efforts VA is taking to address the issue of Gulf War Veterans’ Illnesses. VA needs to improve the delivery of accurate and timely information about Gulf War related ailments to all stakeholders. In general, VA requires a more robust outreach plan to continuously inform eligible Gulf War Veterans about the full compliment of benefits and services they are entitled to, and to provide more complete information to help obtain and use these benefits and services. In order to develop this plan, VA will solicit key stakeholders for their ideas and concerns. This feedback will be used to develop a communication strategy that improves the level of knowledge within the Veteran community regarding VA modifications to the rating schedule and presumptions related to the Gulf War Veterans’ Illnesses. Improving open lines of communication is key in improving the VA responsiveness. The VA team views this report as a foundation upon which we can collectively build iterative future improvements in the care and services VA delivers by leveraging the lessons learned by this Task Force across the full spectrum of all Veteran communities and their families. This requires a sustained commitment to be transparent and accountable for improving the responsiveness of the organization. These priorities encompass how the VA plans to drive the cultural and institutional change needed to transform it into a 21st century organization. A centerpiece of transformation is to build a legacy of success and excellence that translates into improved service delivery across the spectrum of benefits and care for Veterans. This requires improving partnerships within VA, with Veterans, with DoD and other external stakeholders. VA looks forward to partnering with all of these groups in implementing the Task Force recommendations and in devising new strategies that shape the future course. In fact, coordination of the draft report is underway with DoD, which will be a major partner in these efforts. To this end, the VA welcomes recommendations and criticisms in the hopes of forming a constructive dialogue that continues to improve services for Veterans.